Remember what we work for - love not money. We are a small family business founded at Lake Vyrnwy in Mid-Wales in 1991 with the aim of producing and selling traditional crafts. Our products are made from wool, wood, clay and wheat (corn dollies), all of which come from UK sources. 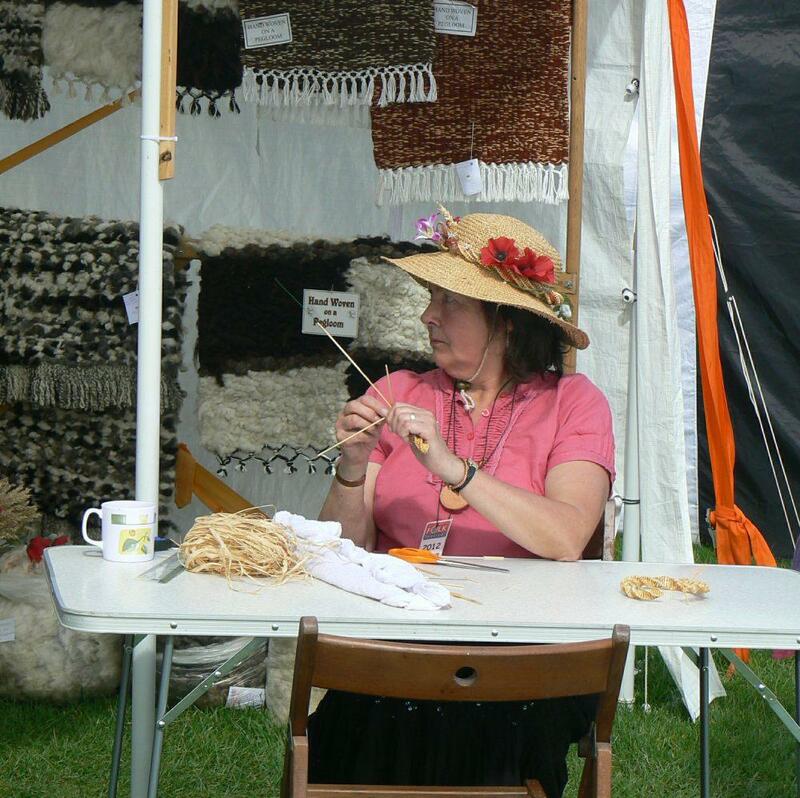 We manufacture knitting and weaving equipment out of wood, rugs and bags out of wool, as well as producing a wide variety of hand spun and knitted items. 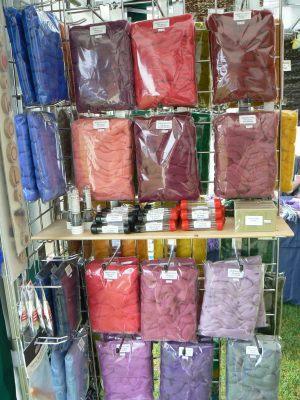 We also have a variety of felting supplies, including merino tops, felting needles and needle holders. For the full range of products that we manufacture and stock please see the Products and Sales pages of this website. We are Ashford Dealers and either stock, or can obtain to order, the full range of their equipment. See our Sales page for the full range of products that we currently have in stock. If there is an item, or items, that we do not have on the sales pages, or that show up as out of stock, please email and we can see about getting them (see Contact). We have recently relocated to Stoke-on-Trent where we have an industrial unit where we continue to manufacture our products. 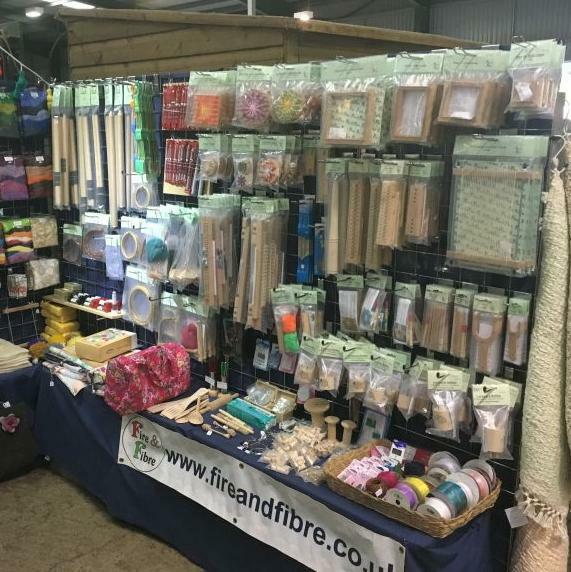 There is no public access to this unit so we now rely on selling our goods at events (see Diary), or on the Internet (see Sales) or through our permanent outlets. Richard manufactures all of the wooden equipment by hand in our workshop. 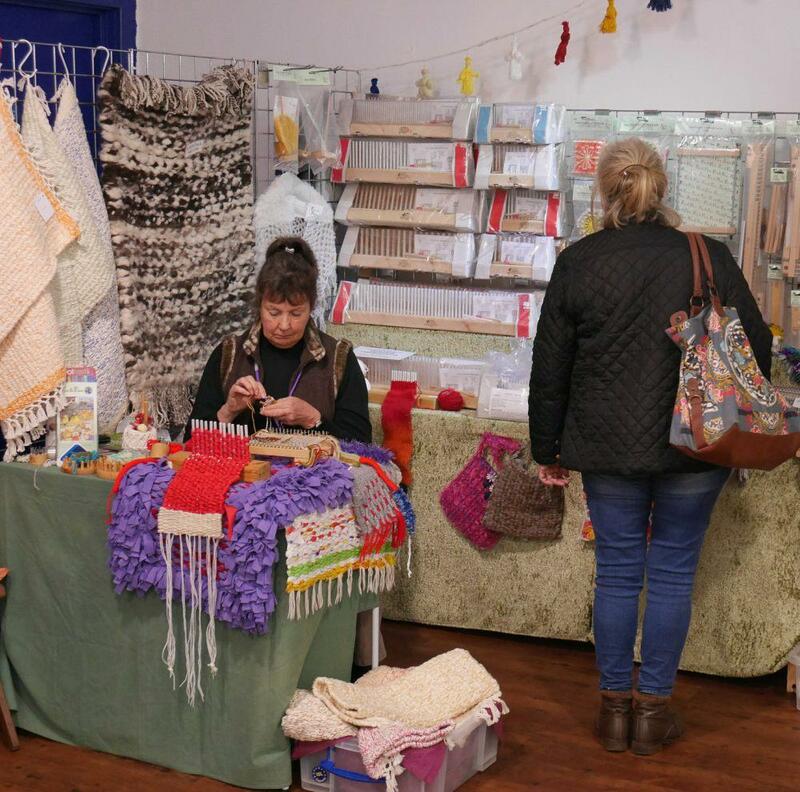 Janet is the textile, corn dolly and pottery expert, who produces all of the finished items – from woven wool rugs and bags, to traditionally-made corn dollies, and terracotta worms. 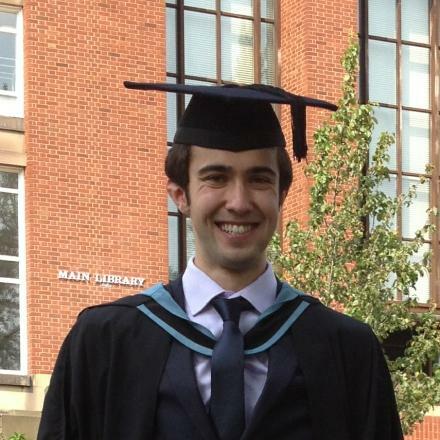 Graduate of the University of Birmingham and general dogsbody. 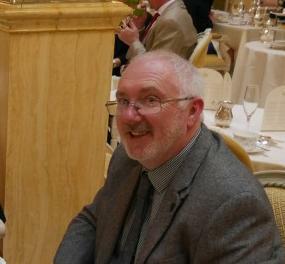 We are members of the Guild of Strawcraftsmen. For more information click the logo. We make four different widths of pegloom, from a quarter of a metre up to one metre. 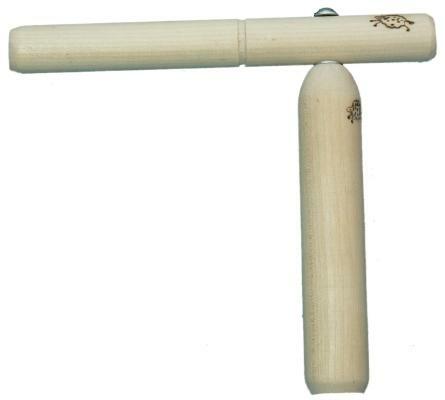 Among these peglooms we use 4 types of beech peg and 2 types of nylon peg. For the full range of peglooms please see the Sales pages. All come with instructions. 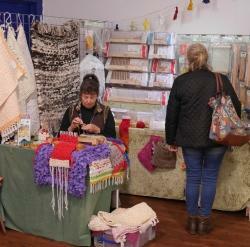 Peglooms can be used for making bags, rugs, hangings, cushion covers, as well as many other woven items. We typically use yarn, fleece, cotton, or strips of fabric, but anything that you can turn into a strip can be used on a pegloom - we have had great success turning old denim jeans into bags. Click below to go to our Pegloom site. 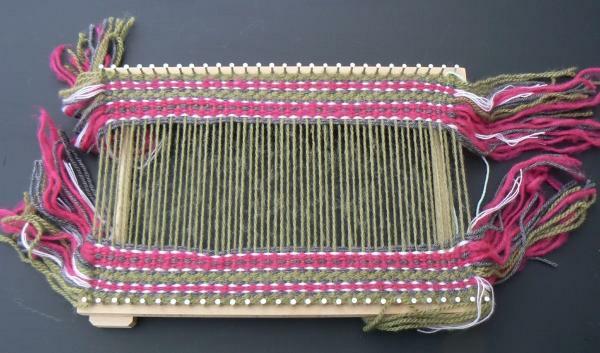 Lateral looms are a simple weaving tool, but are ideal for creating symmetrical patterns across the width. These are suited to using cotton, yarn and strips of fabric. Supplied with a weaving needle, packing comb and full instructions. These frames are for making freeform tapestries. Weaveit looms are used for making squares/rectangles using yarn. The squares/rectangles can then be crocheted or sewn together to make larger items. Available in four sizes, 5cm square, 10cm square, 15cm square and 10 x 15cm. Supplied with a weaving needle and full instructions. 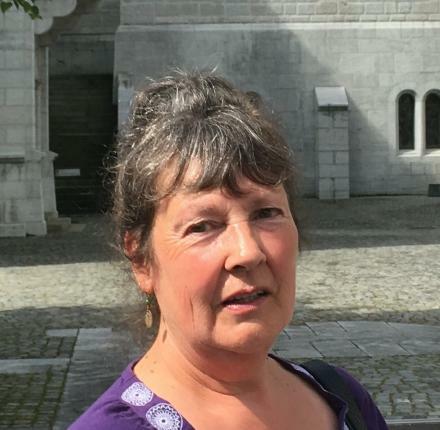 Janet began making Terracotta Worms in the early 1990s and they soon became a collector’s item to visitors to the shop at Lake Vyrnwy. 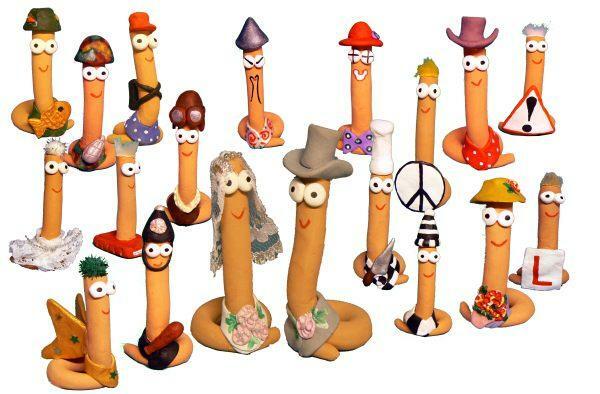 The number of different types of worms that she makes has grown markedly over the past several decades, with new styles replacing old, to now bring the total number of different worms currently in production to 35. Also available at events a selection of other pottery items. For use in cordmaking or braiding, lucets date back to Viking and medieval periods. 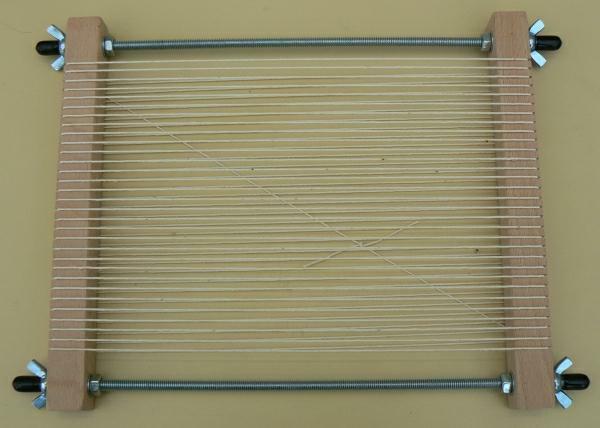 We make two sizes of lucet, for thin or thicker cotton (although almost any strip of material can be used). Supplied with a needle and instructions. For use in corkwork (aka dolly bobbins, or French knitting). 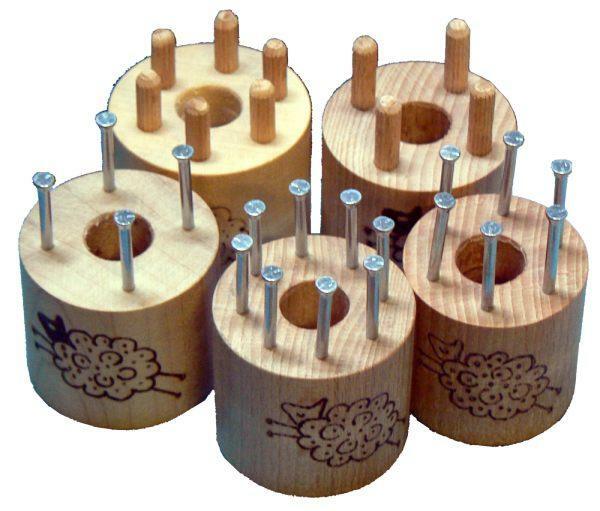 We make various sizes of bobbin (see Sales page for the full range) with different numbers of pegs available (pegs in both wood and metal). 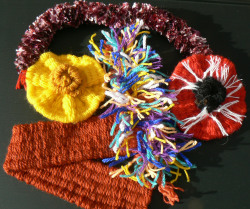 For making decorative flower embellishments using yarn, coated wire or pipe cleaners. However, only yarn should be used on flower winders with metal pegs. We have four main styles of flower winder, all are supplied with a needle and instructions. 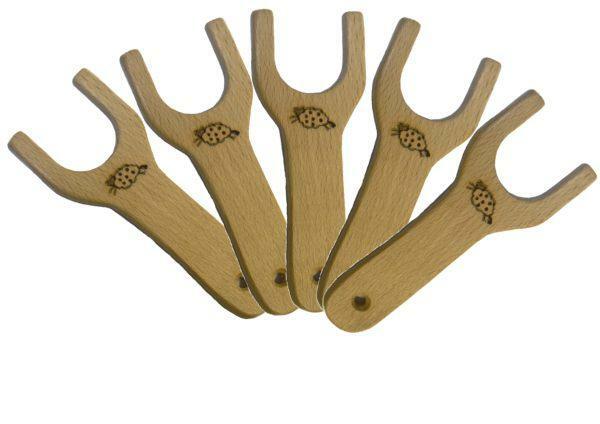 Mini - Set of two flower winders, one with 8 metal pegs and one with 12 metal pegs. 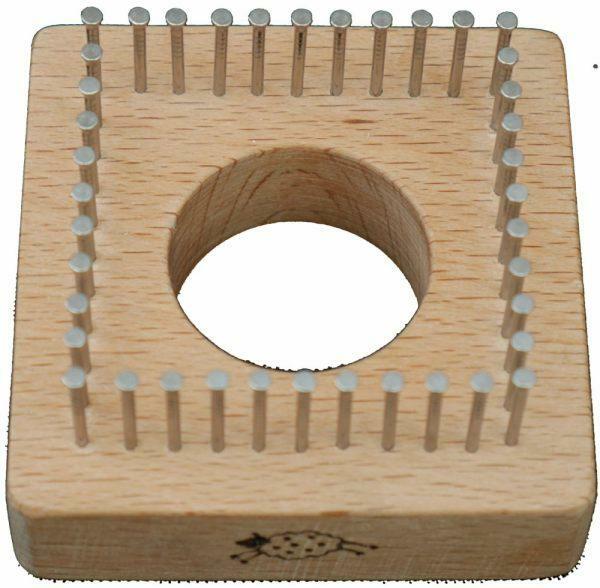 1-ring - One flower winder with 12 wooden pegs in a single ring. 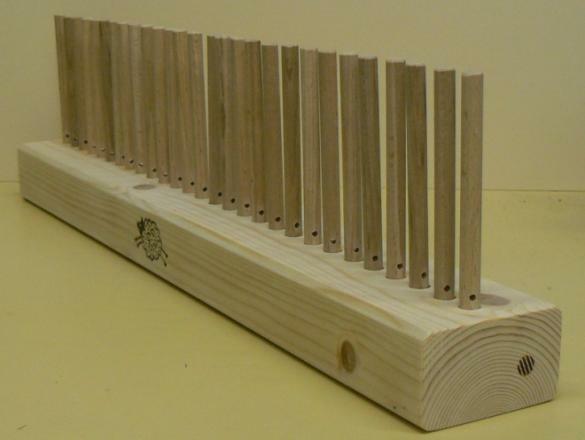 3-ring - One flower winder with two inner rings of 12 wooden pegs, and an outer ring of 24 wooden pegs. 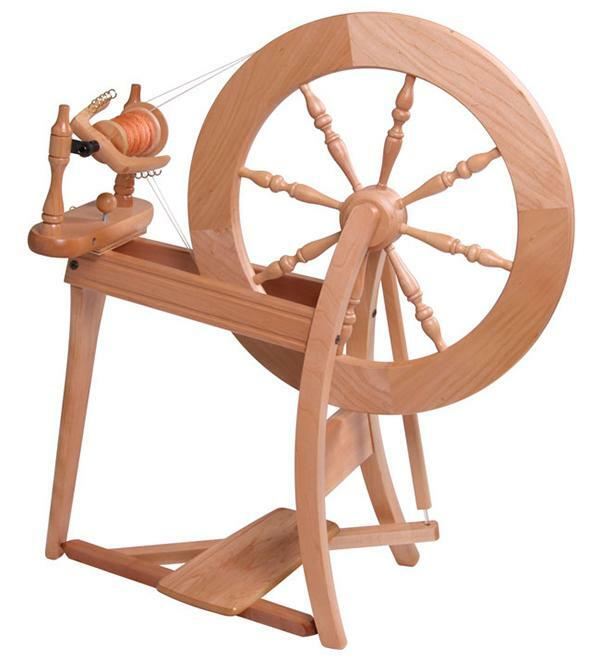 Drop Spindles are used as a simple form of spinning to turn either fleece or tops into yarn. Available as a basic spindle or as a starter kit. 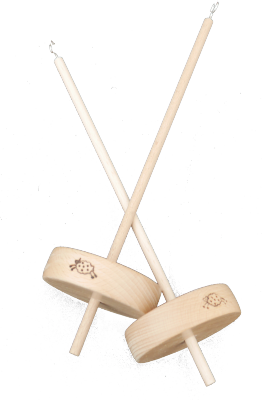 Rattle spindles have the same purpose as Drop Spindles but are operated in a different manner. Supplied as a kit with full instructions. We currently have 38 different colours of Merino Tops 64, as well as 6 multipacks of complementary colours that Jan has put together. 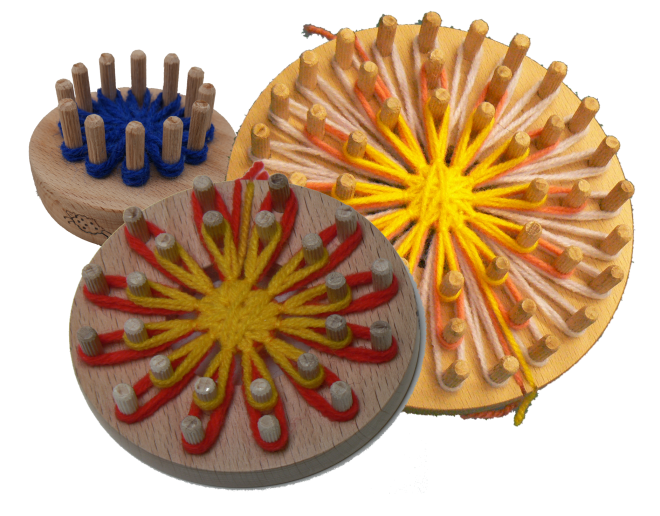 The Tops can be used for wet or dry felting, or for spinning. In two different gauges, felting needles are used for dry felting to compress Merino Tops etc. into felt. 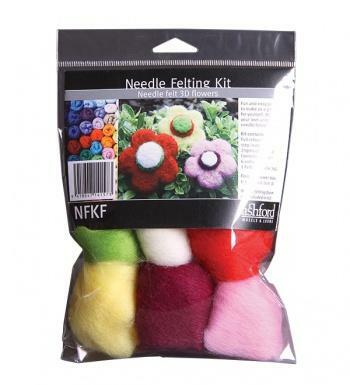 We also stock needle holders in various sizes, pre-felt and olive soap. We are Ashford dealers and either stock, or can obtain to order, the full range of their equipment. See our Sales pages for the full range of products that we currently have in stock. 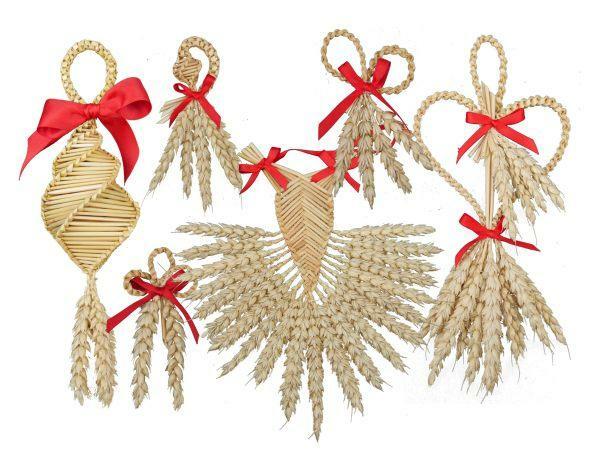 We produce a wide variety of traditional corn dollies and wedding items using wheat sourced from the UK. See the Sales page for our current range of corn dollies. Click below to go to our Corn Dolly site.